The art of creating kawaii characters is a definitive challenge. "Kawaii" is a Japanese word that means "cute" in English, and has been a significantly prevalent part of the Japanese culture in recent years. So great is its impact that it has become a prominent aspect in most industries in Japan. Kawaii is undeniably present in various facets of Japanese pop culture such as entertainment, toys, food, clothing, personal appearance, behavior, and mannerisms—basically everything that makes pop culture in Japan so fascinating for many people living within and beyond its borders. Sanrio Co., Ltd. is a Japanese company that is known primarily for designing, producing, and marketing kawaii characters. The company has created a wide variety of products like stationery, school supplies, gifts, and other accessories that are sold all throughout the world, with their items featuring their kawaii characters that are loved by many people of all ages. Sanrio does more than just design characters and sell goods featuring their characters, they also produce movies, video games, TV shows, create robots, publish books, and even frequently collaborate with businesses in the fast food industry. The epicenter of all their products that drive their daily operations are their beloved characters. The characters of Sanrio have enjoyed an incredible amount of success and each of them perfectly embody the kawaii aspect. 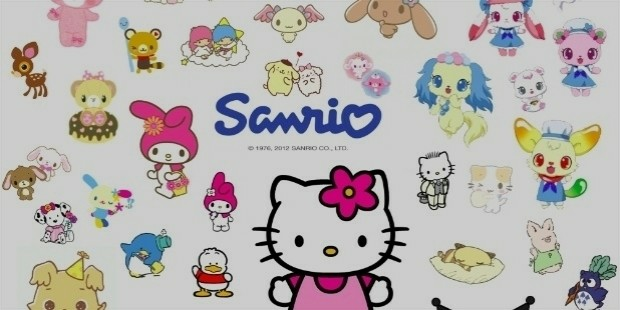 Sanrio started out as a silk company that was founded by Shintaro Tsuji in 1960, with roughly 1 million yen in capital. Eventually, the company expanded their merchandise by featuring rubber sandals with flowers painted on them. Tsuji then noticed that the profits gained from the sandals were high and realized that all they did was to add a simple but cute design on them. In response to that, he hired professional cartoonists to design cute characters for all of his merchandise from that moment on. 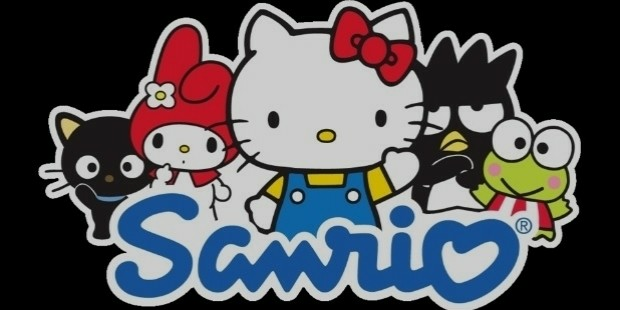 In 1973, the company officially came to be known as Sanrio, which is a combination of “holy” (san) and “river” (rio) in Spanish. The company then produced a character-centric line of merchandise around gift-giving occassions. 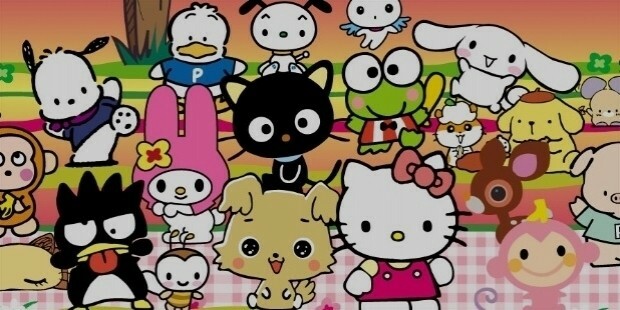 Among these characters was Hello Kitty, who was added to the lineup in 1974. Hello Kitty proved to be immensely popular with consumers everywhere that the adorable feline became the public face of the company and has been the highest contributor to the company’s sales ever since. Other characters have also been added then rotated in and out of the lineup such as Kerokerokeroppi, Badtz-Maru, Chococat, My Melody, and Jewelpet. The characters themselves are the core of the company’s success and have become a part of the kawaii culture not just in Japan but all over the world. So let’s take a look at some of these beloved faces that we have all probably seen atleast at one point in our lives. Hello Kitty (pictured below): the most popular character Sanrio has to offer and is the backbone of the company's success. A cute cat that is drawn with her trademark red bow which is really simple in design and has an invisible mouth. Chococat: this character is a black cat with huge eyes. His name comes from his cute chocolate-colored nose. His whiskers are peculiar because they can act like an antennae and pick up information, making him like a prophet. 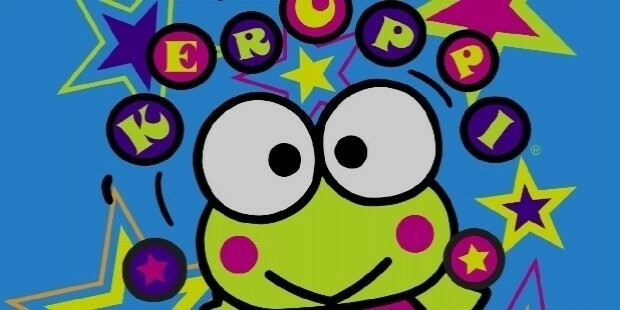 Kerokerokeroppi (pictured below): is a frog character with large eyes and a V-shaped mouth. Aside from how cute he is, he is popular thanks to his adventurous and bubbly personality. 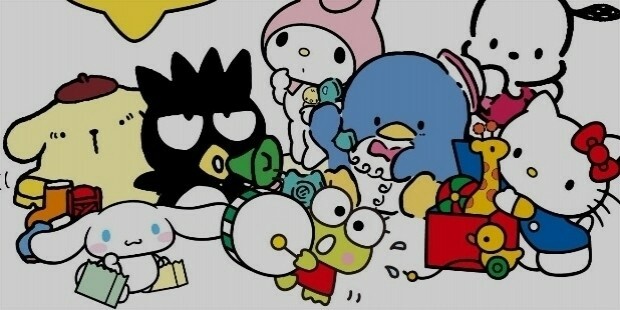 Badtz-Maru: this character is a male penguin with spiky hair and whose birthday is on April Fool’s Day. He has a few friends that like him, and a pet baby alligator that acts as his watchdog. My Melody (pictured below): this character is a little girl rabbit who wears either a pink or red hood that also covers her ears. 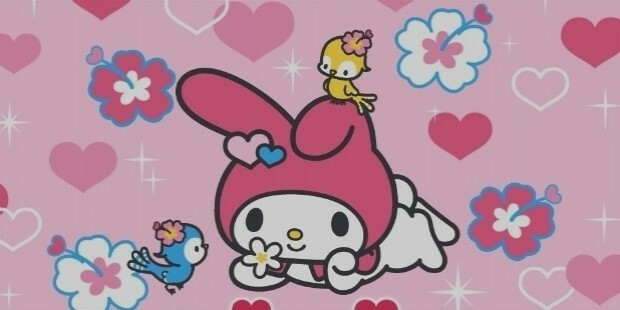 Just like Hello Kitty, My Melody is really popular, especially in Asia. Though her popularity waned in the late 1980s, she was eventually reintroduced back into the Sanrio lineup due to popular demand. She has also appeared in TV shows and video games alongside her friends. Aggretsuko: is an anthropomorphised red panda who works as an office lady in Japan. Her life is usually frustrating so she goes out and relieves stress by becoming angry, drinking, and singing death metal music in karaoke bars. Hello Kitty had become quite a hit ever since she was created by Yuko Shimizu. She is depicted as an anthropomorphic white Japanese Bobtail cat with a red bow. She became known globally, especially after celebrities everywhere adopted her as a fashion statement. In her homeland, she had become a staple of what is kawaii in the Japanese culture. She was originally aimed at pre-adolescent females, but her market demographic has broadened to include adults as well. Despite being forty years old, people everywhere still love her and her brand of cuteness never seems to waver. She also has a twin sister named Mimmy. She has a variety of products such as school supplies, fashion accessories, watches, VISA and MasterCard debit cards, purses, toasters, televisions, massagers, computer peripherals, and even jewelry. She also has her own TV series with her friends like Hello Kitty and Friends, The Adventures of Hello Kitty & Friends, and Hello Kitty's Paradise. Hello Kitty also has her own line of comics, her own album, a song dedicated to her by Avril Lavigne titled “Hello Kitty”, her own theme song, an upcoming movie in 2019, and numerous video games that also star her friends. She has become so famous that there are even theme parks based off of her. Hello Kitty and some of her companions were said to be designed without a mouth so that the characters could take on whatever emotions the viewer wanted them to have. It is similar to how the viewer wants Hello Kitty and her friends to emulate whatever they see fit depending on the situation or mood. Another reason for this conscious design choice is that she "speaks from the heart" and isn't bound by any language, thereby transcending any language barriers. Sanrio has created some of the most well-known character mascots in recent years that some of them have achieved success on a global scale. 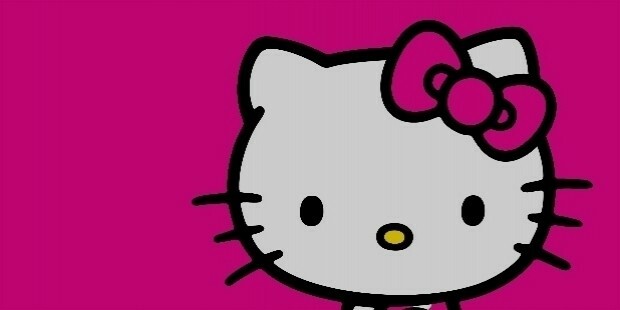 However, none have been more successful than their iconic cat, Hello Kitty. Thanks to the success of their characters, the company has expanded to other business ventures like publishing, robotics, TV productions, video games, and even theme park management. The company even runs a KFC franchise in Saitama. Despite the age of their characters, they continue to be as trendy as ever, especially with the youths. They are the embodiment of kawaii in their homeland and fashion statements in other countries of the world. 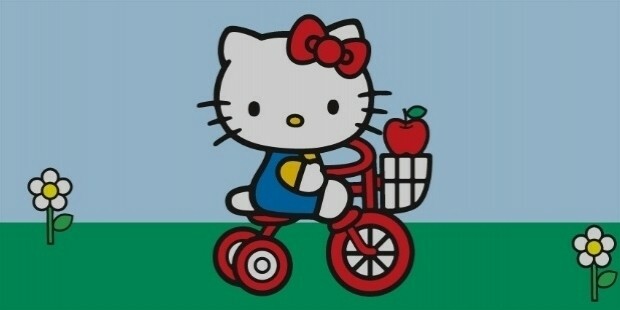 Hello Kitty has inspired many youths and has even become an ambasador of Japanese tourism in both China and Hong Kong. UNICEF has even awarded Hello Kitty the exclusive title of UNICEF Special Friend of Children. Sanrio has created these characters that are accepted by everyone, so there is no cultural barrier between them and the youths all around the world.